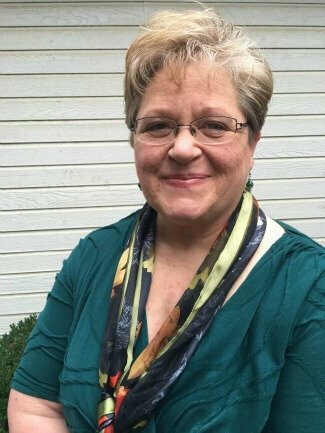 We are so honored to have Patti Hasbrouck here on the blog for a success interview today. As a former court reporting student, Patti experienced a major mindset transformation as a fringe benefit of her time as a student with us. We asked her a few questions to learn more about her experience and success as a proofreader. Patti Earned an Extra $3,000 — in 10 Weeks! Tell us a little about your background, Patti! I’m a single mom with a long history of accounting — more than 30 years! My current job is accounting manager for a CPA firm, where I’ve been for nearly 14 years. I won’t go into boring details, but suffice to say it’s not been a happy decade and a half. Before my daughter was born 18 years ago, I went to court reporting school, but I was unable to finish due to some family issues and had to go get a job to support my family. Fast forward to 2015, and I’m stuck in a job that makes me miserable and is the definition of “dead end.” I don’t want to spend the rest of my life there being unhappy! RELATED: Learn to work as a bookkeeper from home (and earn $75+ per hour). When did you start proofreading transcripts, and what made you decide to learn how to proofread transcripts? 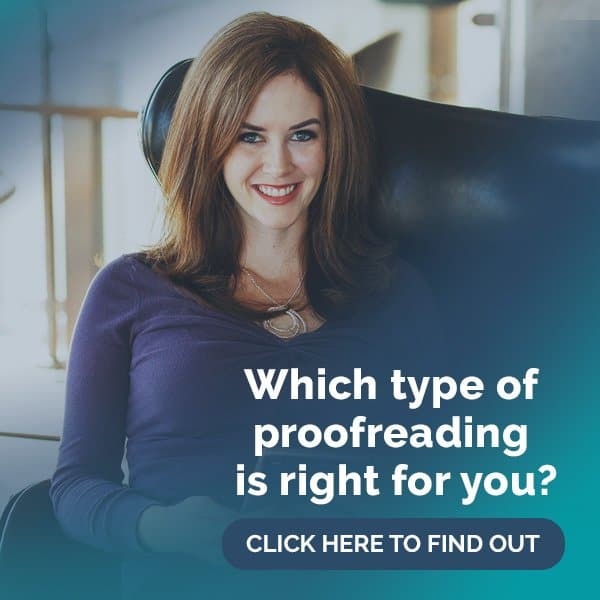 When I read about the Proofread Anywhere course on a blog in April of 2015, I felt an instant connection. I signed up for the 7-day course and knew that I could totally do this!! But I was nervous about the cost, concerned about the time, afraid that maybe I wasn’t going to be able to find enough clientele to support myself… those pesky negative thoughts we all have. After several sleepless nights of pondering whether or not I should make the leap, I decided to pursue it. I knew if I didn’t go for it now, I would never do it. I enrolled on May 11, 2015, and graduated on July 11, 2015. Honestly, just making the decision was agonizing. Being a single mom, I don’t have a “partner” to talk these things over with, get advice, bounce ideas off of, receive encouragement from. It was hard to dig deep and find the courage to take the first step. I’m my only source of support, so if I sign up, leave my job, and then can’t support myself, what do I do then? It was a scary decision to make. The most valuable thing is actually two things. One, I learned that in order for me to be teachable, I had to be humble enough to admit that I don’t know everything. Just because I had a year of CR school doesn’t mean I’m automatically imbued with some magical source of superior knowledge. Two, I learned that I am capable of doing hard things. I can start a difficult project and complete it successfully. I really am good at proofreading, and I am providing a quality service to my clients. I feel a sense of accomplishment I haven’t felt in a long time. RELATED: This is the iPad Patti uses to proofread. What advice would you give anyone thinking about enrolling in the course to proofread transcripts? Is it worth the money? If you’re serious about this, if you have the talent for it, you can absolutely do this. It’s not for everyone, but if you got this far into investigating it, you’re probably thinking you can do it. What’s your goal? More time with family? More cash for savings or paying off debt? Ditching the sucky job? It’s not easy, and it’s not quick, but it’s definitely worth every penny and every drop of sweat equity put into it! The ability to work from home is especially important since my mom got sick — because she can’t be left alone. She is too weak, still, after more than six weeks at home, to fend for herself. She has said on more than one occasion that she would starve to death because she can’t open even the simplest of packages. It’s such a blessing to be here and to know that I can continue to care for her here at home even after I take the leap away from my toxic day job. I love proofreading and the ability to do it anywhere! Caitlin — and the PA team — are awesome, the Facebook group for students is a wonderful source of support and encouragement, there are so many grads that pitch in to help, and I’ve come to admire and appreciate them all. What are Patti’s Clients Saying? We like to show undeniable proof that PA grads learn and earn. Not only do they earn money, they earn appreciation from their happy clients. So: These are screenshots of emails from some of Patti’s clients. To protect their privacy, we’ve blocked out their names and other identifying information. Congratulations, Patti! And from all of us in the Facebook group, thanks for being so helpful and supportive! Do you have questions for Patti? Leave a comment below! New here and interested in getting started as a transcript proofreader? Enroll in the free 7-day course below. Thank you for sharing Patti’s story. Through the similarities and differences, there is likely something that we all connect to in her experiences. As a new student who also toyed around with the idea before sticking my toe in, I can certainly relate. Best wishes to you on your journey, Deanne! I absolutely love to hear these stories! So encouraging. Congratulations on your success Patti! Hi, Patti – Congrats on your success! It’s very inspiring. One question – when you were trying to get clients, did you just use Caitlin’s advice or did you actually have any past contacts from your court report school days? That’s the only part of this whole process that gives me pause. Thanks a lot for sharing your story! Hi, Keisha – I went to court reporting school 18 years ago. I didn’t keep in contact with anyone at all. It’s all new! I am so excited to read your story. I am having many of the same concerns you listed and it is comforting to hear that all is going so well with you. I will be registering for the course this weekend and I am so very excited. Congratulations on your accomplishments so far! Thank you for sharing your story. Hi, Devery – Thank you! It’s pretty exciting to be pursuing something I know I can be successful with. I love the work, and I’m very happy to have taken the course. Best wishes to you on your journey! Your story is very helpful. I am very nervous about starting this and have the same worries that I won’t be able to find any clients. 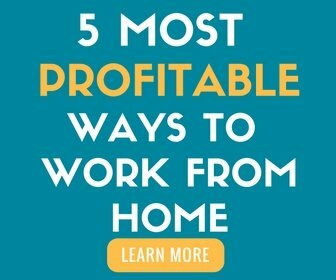 I want the freedom to work from home and be able to provide quality work for clients. I am willing to work very hard for this. I hope to start the first section of the course the first of next month. Thank you for your story, and I am so excited for you that things are going so well. I’m so impressed by you. I am the primary sandwich-generationer for my Mother. She had a stroke several years ago & we recently moved her to independent living in our hometown- several states away from me. I handle her affairs which is difficult & disruptive even from far away. I have a 2-year old, a day job, & a spouse. One of my fear blocks is that some crisis will arise at home that will prevent me from properly doing my work. Any advice? Hi, Sara – You have a lot on your plate! My best advice is to give yourself some grace. You will find your best level of work that suits your situation. I’ve made some adjustments to how much I know I can handle. And you can make alliances with other PA grads to help during those unexpected times – with permission from your clients, of course. It’s definitely doable. Patti, you mentioned iPad purchase…is there a particular one you needed to get and software installed in order to launch your business PA business? I ask because I have a pc laptop. Thanks so much! I just finished reading the link and getting an iPad makes sense! Thanks so much for your quick reply. Have a wonderful day! Thanks for sharing your story, Patti! I can only hope that I will have a small amount of the success that you have experienced. Time availability is not a problem for me as much as confidence in myself. I thought I could spot errors easily, but this course has also proven how easily things can slip through. I so admire all you are taking on and your willingness to share with those of us still in the middle of it all. There are so many great things in your future! Hi, Pam – Thank you for the good wishes, and best of luck to you! Patti you have an awesome story! Thanks for sharing. I’ve saved many of your Facebook posts because I know I will need that advice sooner or later. Thank you, Diana! Best of luck to you as well! Congrats on your success, Patti! I am just starting the course and am having a lot of the same self-doubt as you described above, so it’s really great to hear that you pushed through that, took the leap and have earned success. Hi! Thank you 🙂 Best of luck to you with the course! Hi, Patti. Congratulations on your success! You are an inspiration. I am on module 8 of the course, and I am having a harder time with it than I did with the practice transcripts! The whole idea of marketing myself is counterintuitive for me, and I am really struggling with it. In your story, you said that you got your first job from a post that one of our PA people posted on our Facebook page. But what happened after that? Did that CR recommend you to others, did you get lots more work from the first CR, and how did you go from one 20-page gig to 10,000 pages in 10 weeks? I have to have these things spelled out for me, Patti! Thanks for sharing your story, and thank you for any insight you can give on taking those first steps toward that first job! Hi, Jan – First off, I didn’t have all 10,000 pages in 10 weeks! No way I could have done that much! That’s my overall total through December. That first job was just a one-time thing from a CR who was in a panic. Other jobs and clients came from further marketing and connections – which you’ll find is just as hard for many of us PA grads as it is for you. A lot of us tend to be introverts, it seems 🙂 You can do this! Thank you for the good wishes, and best of luck to you! Congratulations on your success. I am in a similar situation single mom with two college students and a full time job. Can you advise about how many hours you are able to proofread each week and also on the weekends? Hi, Amy – Thank you! You have a lot going on in your house, too! I spent at least 15-20 hours a week, including weekends. Congratulations Patti! Your story is so inspiring and I admire your determination. Here’s to some day ditching that suckey job! Wow, I am so impressed by your success! I have seen you in the F’book group and it’s so inspiring to hear that you are really making this work well with the rest of your life. I’m also a sandwich generationer, currently caring for my 87-year-old mother and 10-year-old twins. My biggest hope is that PA will allow me to take care of my family well while earning a solid income that can be put toward the girls’ college funds. Kudos to you on your success, and best wishes for more! Hi, Mary! Nice to hear from another “sandwich” gal. I also go by the name of “Glue Girl” because I’m holding it all together 😉 Thank you, and good luck to you as well! Thanks for sharing your story! You mentioned the purchase of reference books in your interview. Do you mind sharing which ones you’ve found to be the most helpful? Hi, Clare – Thank you! There are several “industry standard” reference books for court reporting and proofreading in general. For court reporting, Morson’s English Guide for Court Reports has been a long-established resource. A newer, wonderful resource is Margie Wakeman Wells’ Bad Grammar/Good Punctuation. Other respected resources are The Gregg Reference Manual and the Chicago Manual of Style, plus good old Merriam-Webster. Then there are lots of books that aren’t necessarily necessary, but are handy to have, so that’s all up to individual preference for building a library. I am also a sandwich generation girl. We sold our house and my parents sold their house and we built a bigger one for all of us. My husband is an engineer and our girls are both in high school. My parents are still active but starting to have a lot of heath issues and we have concerns with their driving. I have several side gigs so that I can be available and flexible for my girls and my parents. But still feel fulfilled in my own right. I am on module 2. Patti, thanks for sharing your story! I’m at the very beginning stages of looking for clients, and you are an inspiration. I have struggled with doubts, but I know that with hard work I can succeed too. I appreciate your input on the FB group, and am cheering you on! Patti, thank you for sharing your story. It’s very encouraging. Wow! this is so motivating Patti. This is proof that age doesn’t matter when you have a goal. If it is to be,it is really up to me. Yay! I’m so happy you shared your story! I like the “how bad do you want it” comment that you made. You are so right. This isn’t easy work; it’s hard and you have to want it. You have to love constantly learning new things and study, study, study and research, research, research! Hi, Susan! Thank you! It does take lots of study and research – and continuing that process as a professional. So glad to hear from you 🙂 Hope you are doing well! Thank you so much for sharing your story. I am on Transcript #37. It’s taken me several months to get this far and I’m beating myself up for not having finished yet. I’m a little older than you are and I also have a demanding full-time job that makes me unhappy. I love proofreading but am still having those negative thoughts about whether I can do it or not! You are an inspiration to me! You are allowed to give yourself some grace. Don’t beat yourself up! You can do it! There are several things in your story that hit home. The money issue was one and I take care of my 10 year old niece, after school and in the summer. Reading your story has helped inch me closer to signing up soon ! No time will seem perfect, right? Negative thoughts and worries over things that haven’t even happened or may not happen are my biggest hurdles. Hi, Tammy – Yes, there is nothing so pernicious as self-doubt! If you wait to do anything in life, the time will pass anyway, right? Might as well make a positive move! Good luck to you! Thanks for sharing your story, inspiring to a veteran freelance writer, journalist, editor increasingly frustrated with the “sewer” journalism/media have become. After years of producing and editing gazillions of words/features/reports for various publications, trade journals and clients for ever lower fees, I’m ready to move on. Doubly-degreed and skilled in editing/proofing within traditional publishing contexts, I’m wondering of CR proofing might offer more rewarding work. Before investing money in coursework and materials, I’d like to know how close Morson’s English Guide is to the standard editing style books normally used in traditional editing settings: APA, MLA, Chicago Manual of Style, Turabian, etc. If the language/grammar/usage/style basics are similar, is it really necessary to purchase yet another pricey text? Or would solid working knowledge of these other style guides prove of parallel worth in entering the CR proofing field? With thanks for anything you can share, and hearty congrats! Your background clearly gives you an advantage in this field. There are some differences, though, between traditional, mainstream proofreading and transcript proofreading that are addressed specifically in the Proofread Anywhere course and in Morson’s and Margie’s books. The spoken word is often more difficult to punctuate because it’s less formal: People stop, start, shift thoughts in mid sentence; use made-up words; mispronounce words; use idioms and colloquialisms and just plain bad grammar that can give even seasoned traditional proofreaders some challenges. The decision on whether or not to invest in those books is purely a matter of choice. However, since many reporters were schooled with those texts — and produce work according to those rules — it’s beneficial to know how to speak that language. Good luck to you in your decision! Tons of thanks for your helpful response re the style guides for both publishing and court reporting. As it happens, journalism is 50% interviewing people at lenght on tape and transcribing those tapes into spoken text, which must then be edited before any print story can even begin. So you can see the overlap. I’m already doing this anyway — but getting paid nothing for all that taping/transcribing that underpins journalism. Feeling more hopeful about making the segue now and will likely invest in the pricey Moran’s. You’re right about learning the nomenclature — but journalism is all about that anyway on a daily basis. Thank you for your insights, the most helpful I’ve had given my professional background. I do see the overlap. Probably the main difference between transcribing a recorded interview and proofing a transcript is that you can’t edit what is said in the record, you can only punctuate what was said verbatim. That’s the big challenge! Thank you for sharing your story — I am presently working for a CPA and also another part time job that I can do from home. I am looking to replace the CPA job and just be able to work for myself with a flexible schedule. How many hours a week did you work on the course to have it completed in two months? I’m hoping to start after I receive my tax refund but not sure I can have the extra hours with tax season coming up soon. I don’t want to start it and then have to take a break from it when my hours expand at work. I did wait until after tax season last year before I started the course. At that time the course was not as extensive as it is now. I poured every spare moment that I could into it, so I couldn’t really give you an accurate estimate of how many hours a day or week I invested. Probably at least three hours a day, most days but not every single day, if that makes sense. I was motivated to finish as quickly as I could because I wanted to make a change, but I also knew that I had to give it my best attention and learn everything I could before launching my business. Best wishes to you on your choice! Thanks for being so transparent involving your challenges. I guess my biggest hurdle is up-front costs associated with training and getting started. Hi Patty, Thanks so much for telling your story. You answered a lot of my questions. For example, age and finding clients. I am 68 and retired. I just moved my elderly Mother in with my sister. I had my Mom living with me for 6 long years and had no way to have my own life as my Mom is very high maintenance. I have 3 sisters and just basically explained that I wanted to have my life back and it was their turn. My Mom, surprisingly, understood. I had a bad fall this past summer and I was injured and could barely walk for 4 months. I knew, then, I could have hit my head and been killed. And there was so much more that I wanted to do in my life. So I decided to take hold of life again. But, I need to make extra money to help me travel, I have a degree in English and I love proofreading. Once I found the job, I knew that was for me. So I can travel and do the job on an ipad. I have some dental work to have done and pay for before I enroll in school. I figure I will enroll the beginning of March. Thanks, so much for your story, Patty. Good Luck!!!!!! Sandy, thanks for sharing your story! You have a lot going on in your life! I understand completely about needing to take care of life issues before launching into the course. For me, now, it’s about what needs to be done before launching into full-time proofing. Best wishes to you on your next steps! Hi Patti, My story is very similar yet very different from yours. I’m just curious how long did it take for you to complete the course? 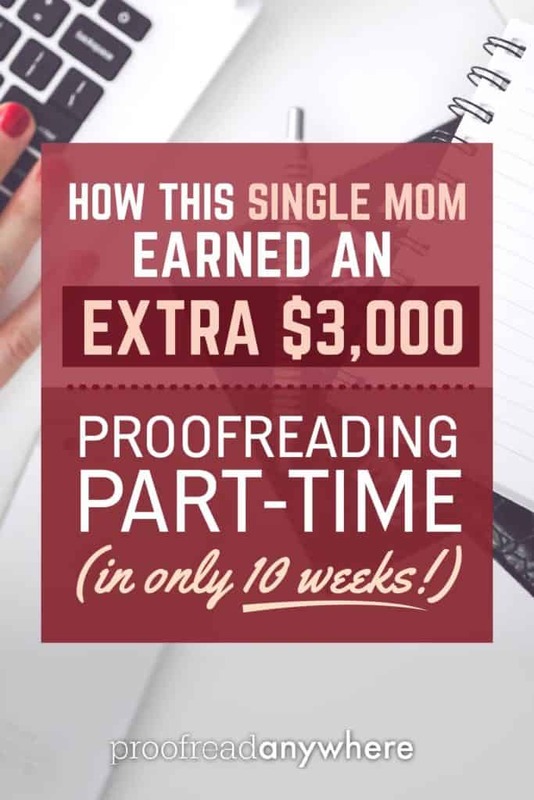 Then one month to find your first client and then from there it was ten weeks to make $3000? How long has it been since you have completed the course? I’m very happy to have found this program. I have been searching for something like this for about twenty years. Thank you for the inspiration. It took me two months to complete the course. Since I graduated there have been several upgrades and additional content added, so it probably takes a bit longer now. However, these are great additions to the course and designed to help improve the end result: becoming a great proofreader!! While I did earn $3000 in 10 weeks, I didn’t have to wait 10 weeks to be paid. Each client pays their invoices as billed, so income depends on your billing practices. My one year anniversary of graduating is on Monday, July 11. I’m still working and still so grateful for the course and my decision to make the leap! How have things changed for you in this first year? Good or bad? Are you working the same amount of hours? Salary? One or two jobs? Curious and excited both. ? Thank you. Honestly, the most change has happened in my family structure and situation so that I have felt it necessary to keep my day job (along with my good health insurance). That means I work nights and weekends — every spare moment, essentially — proofreading. It can be challenging at times! But the additional income has been the saving difference between barely making it and being able to take care of very specific and expensive issues that have happened. I couldn’t be more grateful for how this new skill has helped my family in the past year! I’ve made great connections with clients and colleagues in the field and will continue to develop my skills and expand my services as I go forward. It’s exciting and gratifying to be able to make these plans and look forward to a different life for myself. PA got me started ? Your story is so very encouraging! I found the PA course about a year ago and have planned all along to start it in early 2017. My biggest fear is that I won’t be able to find clients, and this fear seems to be a common one! I have two young children and quit my job a year and a half ago to stay home with them. It didn’t take long for me to decide I am not going back to a corporate desk job again! This seems to be a good fit for my talents and situation, but with no prior education or experience related to it, the idea does intimidate me a bit. Thank you for sharing your story! Thank you for the inspiration, Patti! Thank you for sharing your story, I am so happy for you and your success. Good for you to decide to make a change and do something you love, instead of choosing to just stick with the “dead end” job! I just reached the Module 5 PTs, and I’m nervous! However, it felt like I was never going to reach this point, so I am also extremely excited. My question for you is: Did you follow the course, and everything Caitlin said to do, exactly? Or did you deviate from anything and go your own way? For example, did you follow all directions of marketing yourself, or do something different? Do you follow her methods for proofreading (using iAnnotate, stamps, etc.)? Do you find that Caitlin’s course and PTs are similar to what it’s actually like to proofread for CRs? I definitely don’t doubt Caitlin’s ability to do replicate real-life experience within the course haha, but I’d like to hear from someone outside of the PA Team regarding how their real experiences hold up to their course experiences! Thanks so much, and hoping you have continued success in your proofreading endeavors! I did follow the course instructions and content. The PTs are *real* transcripts from actual court reporters. The only difference in my personal experience is knowing a reporter’s preferences, which we don’t know in the course since each transcript is from a different source. Keep in mind the content of the course has been increased and enriched over the past two years. What you are getting now is much more than what was offered in the beginning. Take full advantage of what you are paying for! Marketing can be in many different forms, and the course provides a lot of great info. But that doesn’t limit us from finding what works for us as we go along. It’s perfectly acceptable to think outside the box and make it work. I can’t wait to start my proofreading course. So many things have come up since I’ve decided that this would be a good fit for me that I have not started. As time goes on doubt builds. I would love to build my skills up over time and make this a full time position. I’m wondering where you are at this time and have you been able to ditch that “sucky” job? Hi, Susan – Yes, I finally ditched the sucky job in January and I’m a full-time proofreader!! Have you started the course? Best of luck to you! Approximately how many hours do you work per week now, and how much do you make per month on average? I work at least 35-45 hours every week, and those days and hours vary a lot depending on what work I accept. Accordingly, my income varies depending on the work I accept, whether it’s regular or rush/expedited (which pays more per page), and etc. I tend to take on as much as I can handle to cover my expenses. So the income varies, and since I quit my day job it has increased substantially because I’m now proofreading as my full-time job. Probably between $2,500 and $3,500, depending on a lot of variables. Thanks for your reply, Patti. 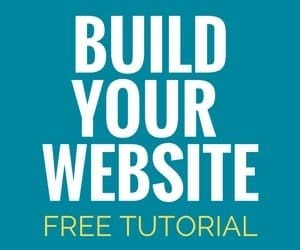 Does the course really provide advice/resources to help find clients? Or are you pretty much left to figure it out yourself? I know that we have to do our own marketing, I was just wondering how much support/help is given.